Marty Simpson will not skate the hokey-pokey with his daughter at her 11th birthday, and here is why. 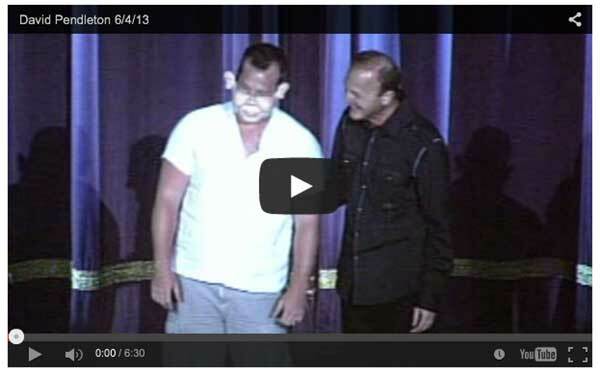 Enjoy this video from one of our favorite comedians working in churches today. Marty Simpson, Dustin Nickerson, and Shawn Reynolds, were all selected to perform on the Christian Comedy Association’s yearly conference showcase show! They all did fantastic! 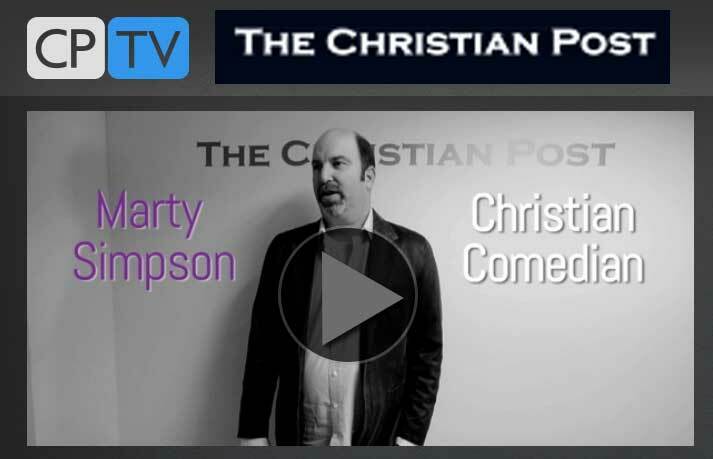 Here is a video featuring one of the best Christian Comedians touring the country today, Marty Simpson. Marty Simpson recently performed a sold-out show for WPER in Fredericksburg, Virginia. Here is highlight from that show. If you need strong, comedy-club quality attitude, with an inspirational Christian Themed show, then Marty Simpson is a perfect fit for your event! David Pendleton is the perfect comic for your next church celebration event! There are no catches or gotchas. Read how you can host a free show. Are you tired of trying to plan a great event for your church only to find out that your chosen entertainer wants 3, 4, or sometimes even 10 thousand dollars to perform? If so, please read this entire post to find out how you can host a great event at ZERO cost to you or your organization. Former All-American Football Player (If you count being a place-kicker. 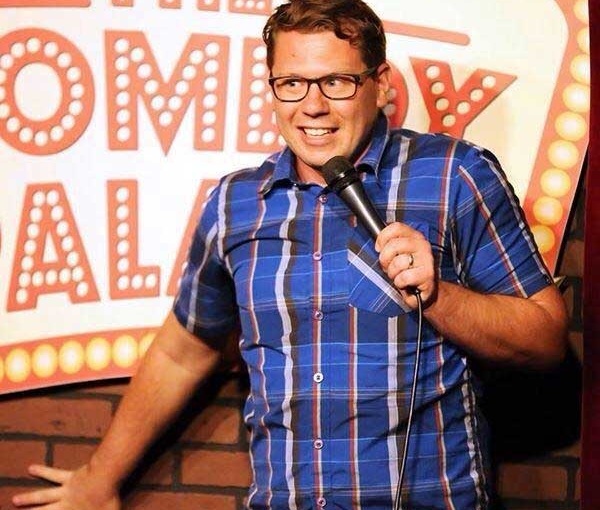 ), and current nationally touring and hilarious stand-up comic, Marty Simpson, is changing the way churches book comedians. Marty has appeared on ESPN, BET, NickMom, TBN, ChristianPost.com, and been the featured comedian for Lifeway’s Main Event alongside Dr. Tony Evans! Marty’s system has proven successful enough that he is willing to take all the risk. All he asks is that you follow his VERY SIMPLE plan. If you call this number 888-377-1112 we will explain exactly how it all works for your church. We have executed successful free shows for churches with 120 people worshipping and for churches with over 2,000 people worshipping. Contact us today to find out how to host a show that won’t cost your church one penny. 888-377-1112 to hear all about it! Marty tells jokes about real life. He weaves his every day life into truly profound stories that all interact with each other in a way that will leave you wanting more. Check out the above full clip to see an example of what we are talking about. Watch how the first one minute of the above clip comes back in to play by the end of the story! It’s fantastic comedy that will be a perfect fit for a family-friendly free show at your church. The Chapel in Fort Wayne, Indiana had never done an event like the one Marty and his team proposed. They tried it because it was zero risk to their church financially. They not only had an amazing event, but they were able to raise over 2,000 from the profits of the show to donate to a local ministry they support. Call us now to find out how we can do the same thing for your church. 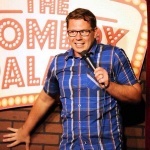 Dustin Nickerson just won the 2015 “San Diego Clean Comedy Competition” at the Comedy Palace in San Diego! Congrats to Dustin. Here is a short set from Dustin for your enjoyment. Let us know if you would like to book Dustin for your next event. Now Booking The Top Christian Comedians in the Country! Recently, TopChristianComedians.com made an arrangement with some of the top Christian comedians in the country and can now arrange your next event. TopChristianComedians.com is booking many of the comics you will read about on our site! Give us a call at 888-377-1112 and let us know which comic you would like to have at your next event, and we will make it happen for you! If you are on a budget, we can help! We represent comics from just about every geographic region in the United States. That means, most likely, we can book a comic who is within driving distance to your event! Mike incorporates his life experience into his roles as a comedian, writer and motivational speaker. Mike and his beautiful wife Rozalynn, and their daughter and son live in Columbia, South Carolina, where he also serves as a leader at Right Direction Church International. Check out Marty’s recent interview with ChristianPost.com.